Not long ago, Knowles wrote about what it's like for employees in the North Carolina Vital Statistics Bureau. You might think their job would be a boring one, but it's anything but boring, says Knowles. Their main work is recording all births and deaths in the Tar Heel state. "Many of the birth certificates which have to be recorded bring chuckles or down-right belly laughs," he writes. "Some of the things that they must by law record, they wonder what in the world was going through the minds of those sending in the certificates." "There was a child born and given the name...Jessie James Outlaw. Some of the other names that had to be recorded were; No More Cross, Tiny New Year, and Make Eugene Punch. Believe me, these were real names, no joke. There were twins listed with the Bureau and their names were; Kate and Duplicate, Victor and Victoria, Alpha and Omega. And finally, this takes the cake; Wunzie One and Wunzie Two." Several years ago I was asked to officiate the funeral of a man I didn't know. I was horrified to learn his name was Vermin, which is a word commonly understood to refer to objectionable little animals, or lice and fleas. My administrative assistant said he once heard of children named, Ima and Ura Hogg. In Bible times, names were generally considered very important and meant something. A name often spoke of an individual's character or role in life. For instance, the name Abraham meant, "father of many nations," the name Jacob meant "supplanter," the name Solomon meant "peaceful," and the name Peter meant "rock." But there is no name ancient or modern, which has more meaning than the name Jesus. Many people have been given the name Jesus, before and after the biblical Jesus. But the name, which essentially means "Savior," has never signified as unique an identity or mission as that of Jesus Christ. The Scriptures say, "There is salvation [salvation from sin] in no one else. God has given no other name under heaven by which we must be saved" (Acts 4:12). One would think that the name of Jesus would be, as St. Bernard said, "honey in the mouth, music to the ear, a cry of gladness in the heart" of everyone, but it isn't. We're living in a time when that name is ousted from the public arena for so-called reasons of diversity and inclusion. 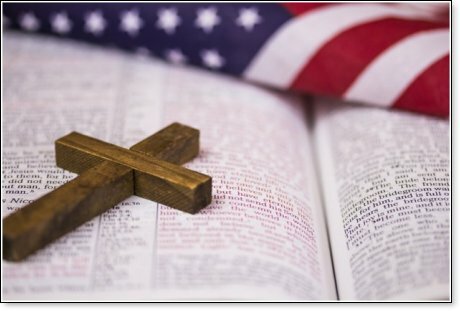 Although in Town of Greece v. Galloway, the U.S. Supreme Court clarified that prayers in Jesus' name do not violate the Constitution, the High Court, would not hear a North Carolina case, Lund v. Rowan County, which would have addressed whether elected officials could offer prayers in Jesus' name. The Fourth Circuit Court of Appeals said such prayers were unconstitutional, while the Sixth Circuit ruled just the opposite. What does it really mean to pray in Jesus' name? Is it something just to be tacked on the end of a prayer, as if it were some magical, spiritual, incantation? Should Christians seek to avoid offenses by not praying publicly in that name? No! Just as Jesus' name means something, praying in his name means something too. O.H. Hallesby, one of Norway's leading Christian teachers, notes that in every religion but Christianity there is this deeply imbedded notion that our prayers can make God interested in us. They can influence him to be kindly disposed toward us, so we can get what we want from him. For several millennia prayer has been perceived as a means of winning the favor of the gods and inducing them to give away some of their divine surpluses. But to pray in Jesus' name means that we have access to God on the basis of His merits, and not our own. The Bible teaches that everyone has fallen short of what God commands, but Jesus lived the perfect life that God requires of us. Though he was innocent of sin, his death on the Cross was a substitutional death, where he took the punishment for our sins. Our sins were buried away with Him in the tomb. He bodily rose again to life and ascended to God where he intercedes for us, which means we don't need a priest, or one of the saints, to help us reach God. Nor do we have to go through various spiritual gymnastics to make us worthy enough to be heard. Hallesby rightly contends praying in Jesus' means that we come to God with an attitude which prays, "I do not have a right to pray...Much less do I have any right to receive what I ask for. Everything which Thou seest in my heart, O Lord, is of such a nature that it must close Thy heart to me and all my supplications. But hear me, not for my sake, nor for the sake of my prayer, and not even because of my distress...But hear me for Jesus' sake." Steve-O said that when he was a boy, he loved the heavy metal rock band, Motley Crue. He was only thirteen when they came to his city to play. So he called every city in the Yellow Pages for a room reserved in the name of their manager in hopes of meeting the band. He finally got through because the manager's brother answered the phone. It is because we can pray in Jesus' name, God's own Son; that we can get through to God. Now does this suggest that one must always add Jesus' name to the end of their prayer for these privileges to be effectual? Certainly not! Therefore, wouldn't it be better to avoid offenses when praying with a religiously diverse group by omitting Jesus' name from the prayer? Certainly not! To pray in Jesus' name is a vital witness to the unique identity and mission of Jesus to the whole world. It is a tremendous and necessary witness to God's plan of inclusion and diversity. What is more, it is a testimony to the truth that our access to God isn't based on our station, our strengths or achievements, but that we are equally helpless before God. This witness is core to the Gospel message, and unavoidably offensive, to many. No one should ever be denied their First Amendment right to publicly pray in Jesus' name or the name of the god they worship. That right shouldn't even be denied when, as Justice Anthony Kennedy warned in his majority opinion in Town of Greece v. Galloway, that certain prayers that "denigrate nonbelievers, or religious minorities, threaten damnation or preach conversion," might be ruled unconstitutional. Such prayers are not a government establishment by the United States Congress of a particular religion. Moreover, it is a most egregious infringement of religious liberty to insist that if one prays publicly, it must be to the state's generic God.